the future of the web involves moving away from the idea of centralized, authoritative locations and into something I call “connected copies”. The Berkman Center for Internet & Society wants to keep linked content accessible. Whether links fail because of DDoS attacks, censorship, or just plain old link rot, reliably accessing linked content is a problem for Internet users everywhere. 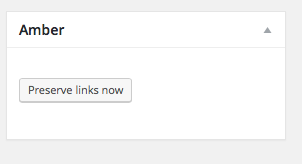 Having blogged for a while I am very aware of this problem, links I’ve made have fallen away. My bookmarks are full of holes. Preserve Links Now. The plugin added this to my post editor. 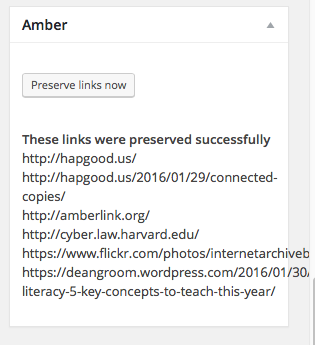 I’ve installed the Amber WordPress Plugin here and set it to use the Internet Archive to ‘save links’ when I make them. I could have chosen to save them here, but I wonder if that could get messy? The other thing that crosses my mind is what if people want to rub out something they have published. When a post is taken down deliberately, should I be archiving it? The posts I mentioned above were deleted by the author (I presume). Should I then make public copies available? That is what would have happened if I’d had the amber plugin working at the time. I don’t know the answer to these questions or how the plugin works, but I’ll keep it running here for a while and look out for broken links. After hitting the button I get a list of links preserved. Presumably on the Internet Archive. 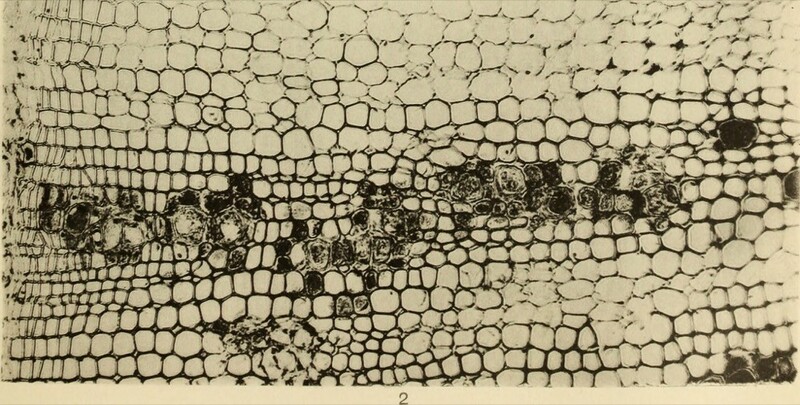 Featured image Flickr photo Public Domain: Image from page 28 of “The effect of black rot on turnips, a series of photomicrographs, accompanied by an explanatory text” (1903) | Flickr — Photo Sharing! Originally published at John’s World Wide Wall Display. I notice that footnotes I make on my blog are broken here and I have to manualy remove the caption markup from images.